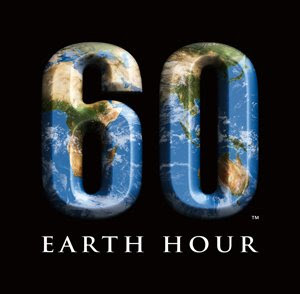 This past Saturday, March 28th, for the second year in a row, Rob and I acknowledged Earth Hour by turning out the lights for an hour and not watching TV or using any electricity other then the appliances like the fridge that stay plugged in all the time. We know doing this isn't going to save the planet, but we do it symbolically, like wearing a poppy on Remembrance Day. We care about the Earth and all of her living creatures. Us humans haven't done a very good job in taking care of her, but we're hoping if we all work together we can make some positive changes. Click here for more about Earth Hour.